Audun started at Rystad Energy in 2011. He is currently leading the Oilfield Service team and Product Manager of Rystad Energy's oilfield service databases DCube and SCube. 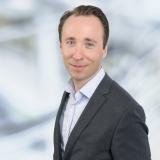 Audun earned a Master's degree in Marine Engineering from the Norwegian University of Science and Technology (NTNU) and University of Berkeley, California, and an Executive Master of Management Program within finance from BI. His previous work experience includes Coriolis, Shell and BW Offshore. Check out the incredible speaker line-up to see who will be joining Audun .